Iran is a country that most likely won’t be on your bucket list. It had been on mine, for years. I found pictures of this beautiful mosque and even since then I knew I just had to go. And that day came sooner than later. In February 2017 I packed my backpacks and left on a one way journey, first destination: Iran. I could not be more excited, but naturally I was also a bit nervous. 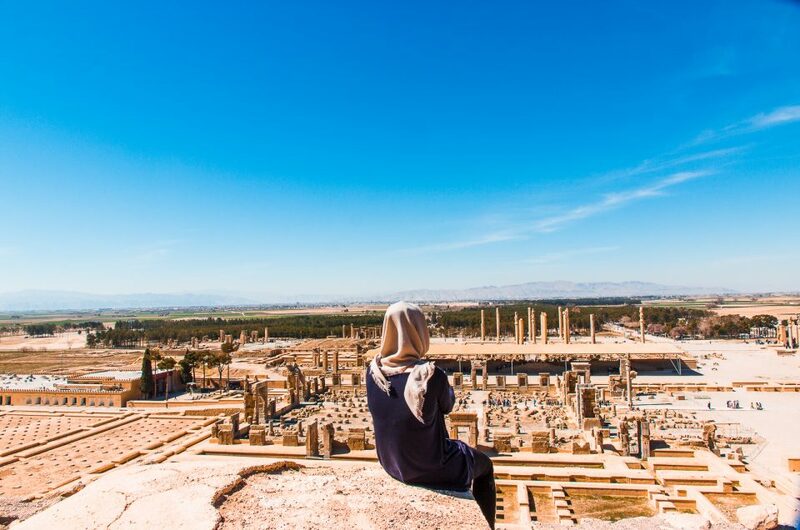 I went to visit Iran by myself, as a solo female traveler, and every day I am thankful and grateful I started my journey in this beautiful country. 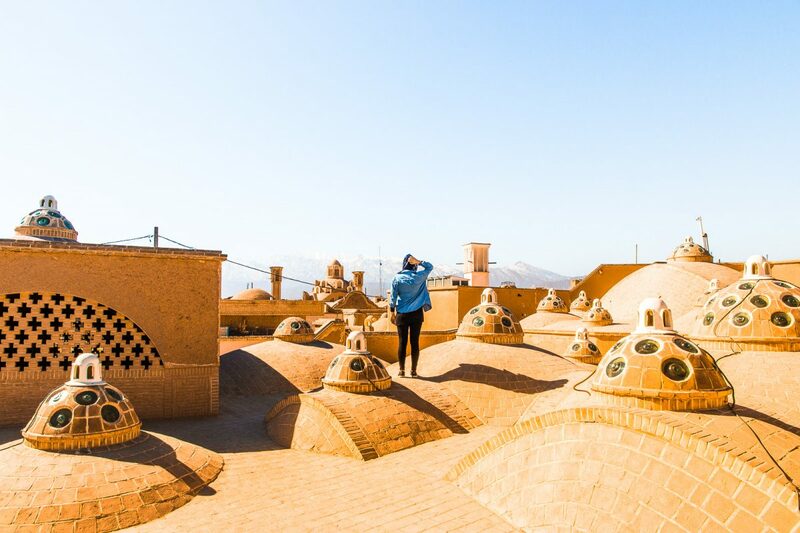 Iran has so much to offer, from nature to architecture, from food to friendly people. But enough of that, like the famous saying says “a picture is worth a thousand words”, I’ll let these pictures speak for the beauty of the country. And then, maybe after seeing these photo’s you will put visiting Iran on your bucket list too. Sometimes taxi rides and bus rides can be a boring and long commute, something we just have to do to get to the next city. 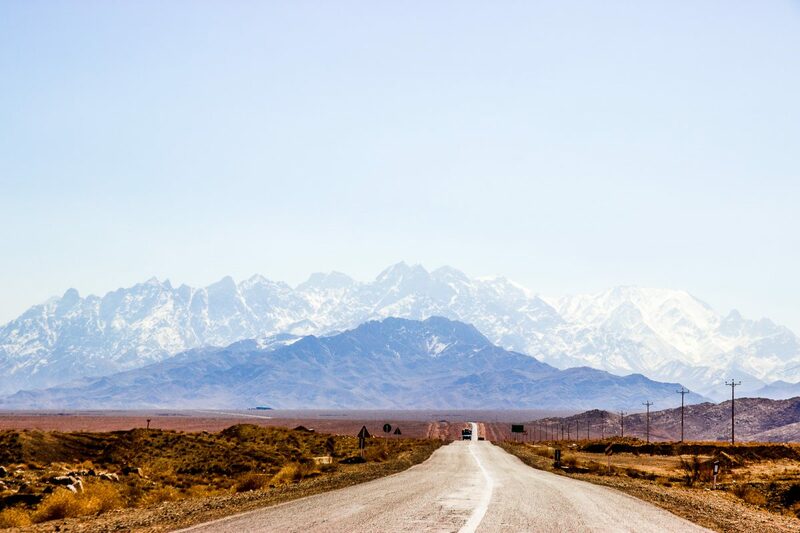 But the roads in Iran are beautiful, they are surrounded by endless deserts and views over the most stunning mountains. Clear blue skies, golden sand dunes and snow peaked mountains. And even if you find yourself in the middle of a city, know that you are never far away from a good view. Find a rooftop, and the views over the roofs of a city will most likely still leave your mind blown. 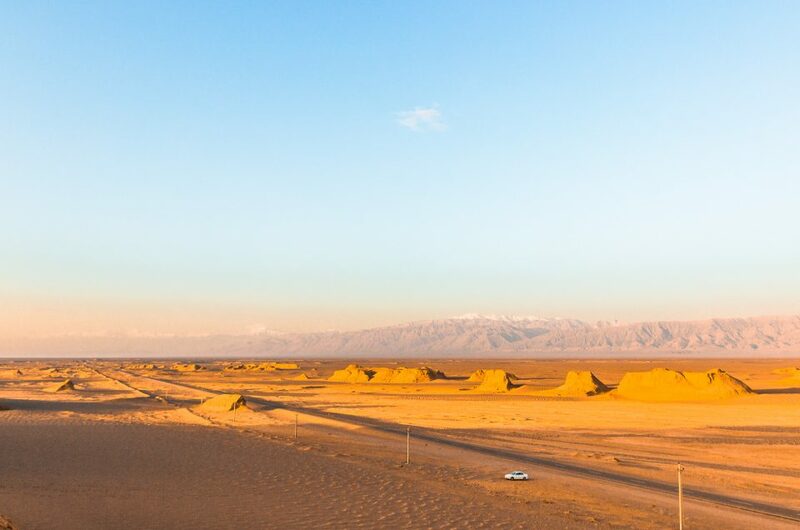 The views from the road and cities will make you smile from ear to ear, but actually visit the nature of Iran itself is a whole new level of beauty. 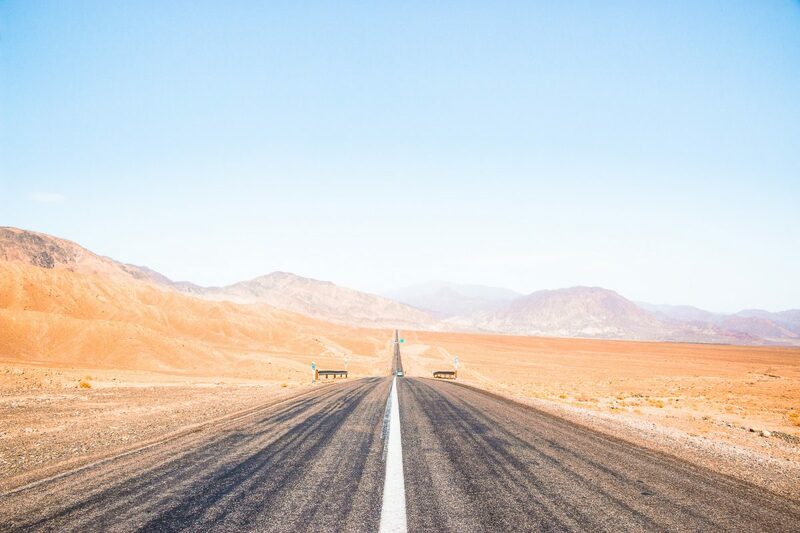 Wander through valleys, watch the sun set in the desert and hire a bike to cycle through the mountains. There is so much diversity in the nature of Iran, every turn you take you will be surprised by something new! 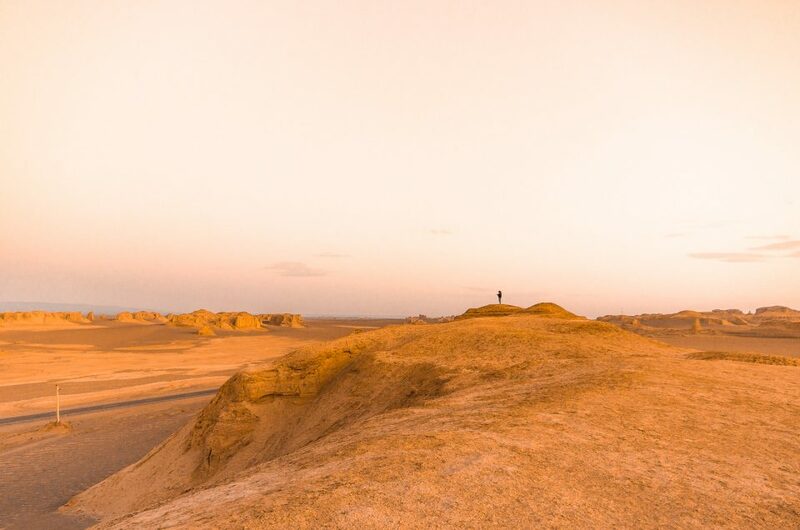 And there you have it, 10 photos that will inspire you to visit Iran. 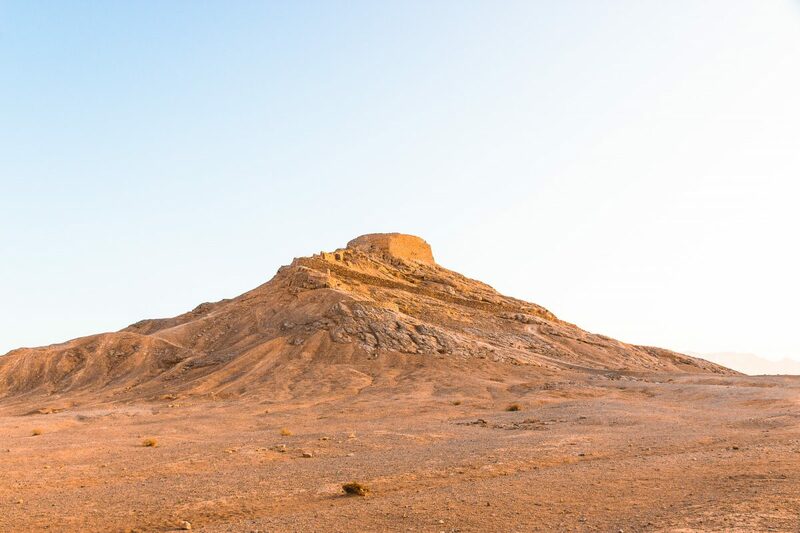 Visit Iran for the architecture, the views, and the stunning nature. And if that didn’t inspire you, maybe the food, the kindness of the people and the rich history of Iran will. 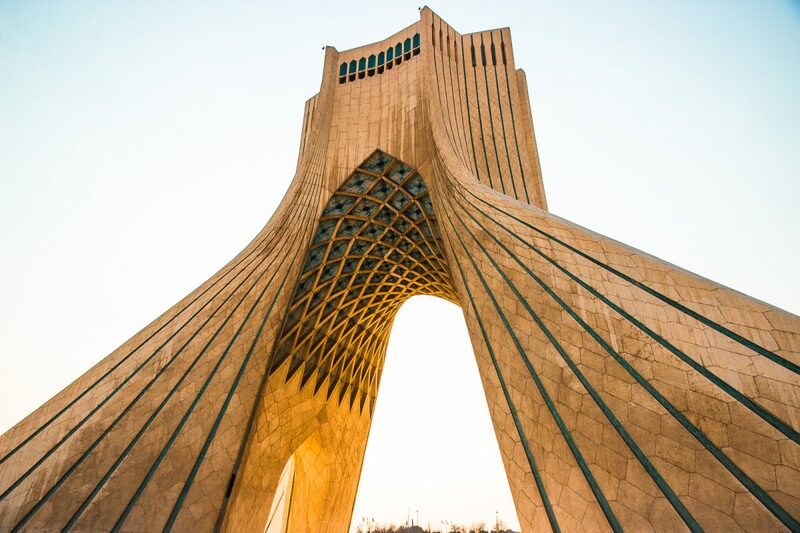 If you are interested, be sure to check out my complete travel guide to Iran. 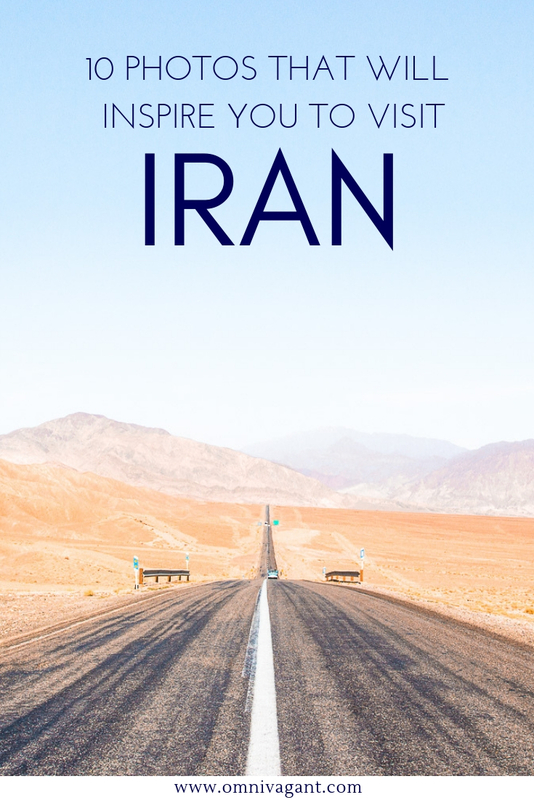 This guide includes tips for places to see, where to sleep, general tips, clothing restrictions and money matters… basically everything you need to know before visiting Iran! 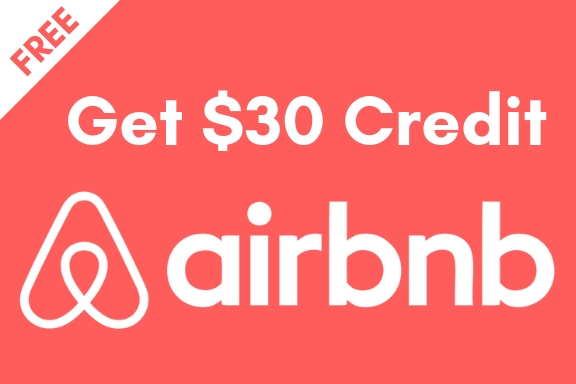 Oh, and don’t forget to pin it! Wow, all the images are just stunning. I am sure this has to do both with your camera skills and the landscape. Thanks Anu! It is such a beautiful country! Your pictures make Iran look so beautiful. What an amazing adventure you are on. Thanks Julie! My pictures don’t even do the beauty of the country justice. Thanks! I really hope so. 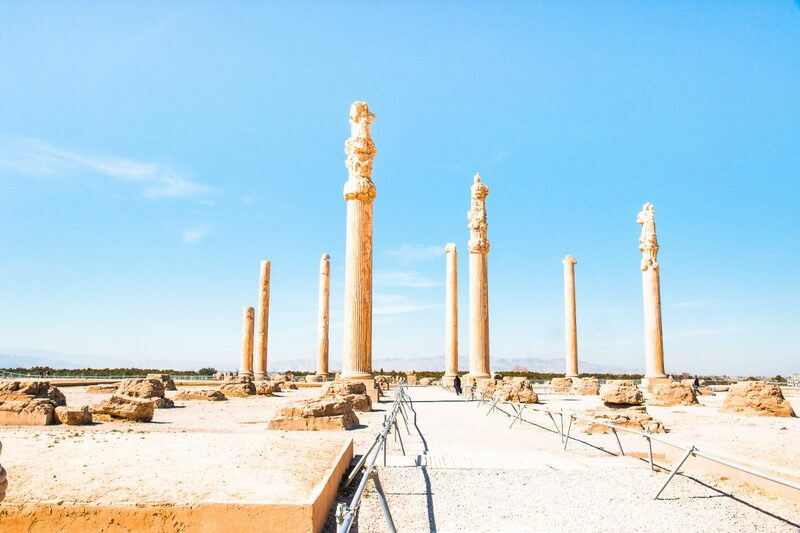 I loved visiting Iran, and it is so undiscovered, I could only encourage more people to go! Wow, these are stunning. I love that you feature in most of them, too! One day I want to see Iran… but admittedly it’s pretty low on my list. It gets lots of bad press, and there’s not much chocolate there. But this is a great reminder of all the beauty we DON’T see on the news. I look forward to reading about the food you ate there! Thanks Max! I luckily had a fellow traveler who had some photography skills haha. And yes, not a lot of chocolate there, but so many other delicious treats! I’ve been wanting to visit Iran for years! It looks like such a beautiful country. Hopefully someday 🙂 These are gorgeous photos, by the way! Thank you for sharing! Thanks Alissa! I can really recommend going, it is beautiful, amazing and truly unique. I hope someday you get to see it too! 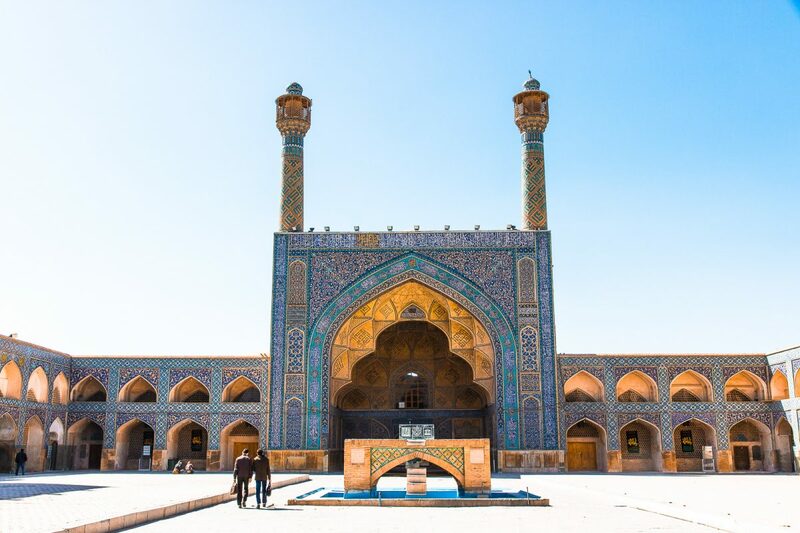 Iran has been on my wishlist for a long time, for a few reasons… Firstly the cuisine, which is renowned across the region and has inspired many dishes farther afield, in India for example. Secondly, I have met a number of Persians living in London, and all have inspired me with their stories about their country, and I know from those who have visited how warm and welcoming the people of Iran are. Thirdly, the history, culture and architecture are all hugely appealing. I had not really thought about the physical landscape being a factor until your photographs! The cuisine, the food is just delicious. I can only dream of having some kebab, fesenjoon or many many other dishes again right now. The people in Iran are truly welcome, I have always heard of it, but once you are there you can truly experience it. I love Iran and would go back in a heartbeat if I could! Oh, it’s been my dream for so long to visit Iran!! Sadly, it’s quite difficult as an American. I really want to experience the art scene — I know it was budding in the 60s and 70s and would love to see what it is like today. Such beautiful photos, it’s making me melt! Oh I can imagine, I’ve heard it is very hard, but once you get to go it is truly rewarding. I haven’t seen much when it comes to art, but architecture is a form of art to me, something I truly love and got to enjoy in this country! Girllll, your photos are stunning! Definitely putting Iran on my bucketlist! How’s the safety though? Thanks Tala! Iran is safe in almost every region (borders can have their regular warnings though). 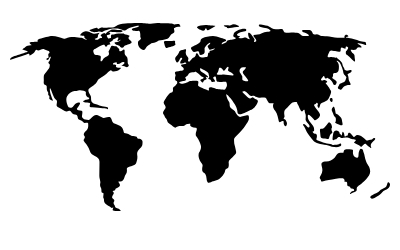 Although with every country it is the same, you should check your government’s advice before leaving. Besides that I had no issues at all and have felt safe everywhere I went! Absolutely beautiful photos! I’ve been longing to visit Iran for a long time since I don’t need a visa for this country. 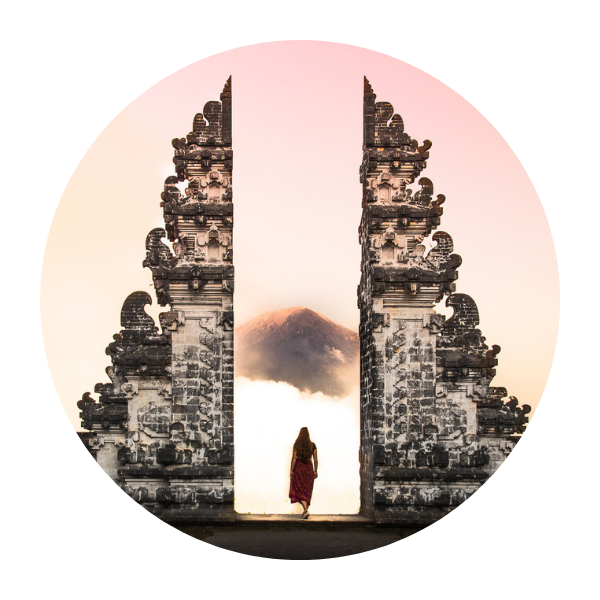 Its architecture and nature look gorgeous from your photos!!! Wow, wow, wow! 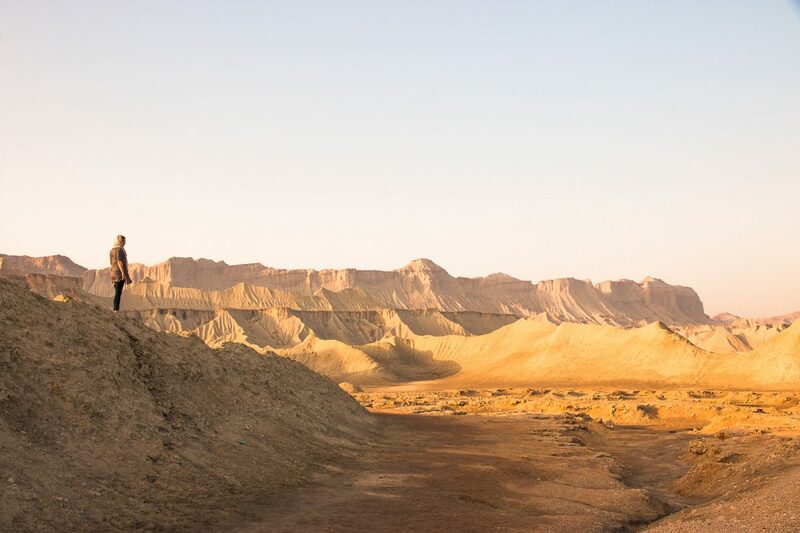 Your photos of Iran are stunning. I’d love to capture the architecture and the endless roads. My bucket list is long, but I will add Iran. Thanks Nicola! I couldn’t recommend it more! Thanks Linn! I hope you’ll make it there one day! Beautiful pictures! Iran is on my boyfriend’s travel list as a winter destination. He is stoked on iran’s winter sposrts scene and ski resorts. Would really love to visit the more “unexpected” snowy side of Iran! Thanks Eva! I personally have never done winter sports, but I have friends who went into the mountains for a day themselves when I was there. From Tehran it is really easy to head into to mountains and do a day or weekend trip! Incredible photos! That rooftop is so beautiful. I love all the colors! Thanks Michelle! Such kind words!